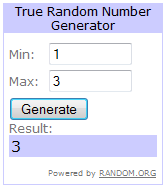 Thy Hand Hath Provided: Saturday Giveaway! Congratulations to Amy G.! I'll email you the coupon code right away:-). I sure wish I had two more to give to our other two entrants as well! Hello, dearies! I hope your weekend is off to a great start. The last time I was at the grocery store a $20 off your next Shutterfly purchase catalina coupon came printing out. It's for new customers only and since I'm a frequent Shutterfly user, I thought I'd pass this coupon on to someone else. Shutterfly's photo books start at 12.99 and would be perfect Mother's Day brag books for any mother you know. The coupon can go towards anything on their site including "personalized announcements, thank you notes, invitations and more". And, if you spend $30, you can use the code SHIP30 to get free shipping! I've used these type of coupons before and they are super easy to use. I'm not sure if the $20 off counts toward shipping, but you could play around with your order to see. ~ You must be a new Shutterfly customer or plan on passing this along to a new customer. ~ To enter, leave a comment below. Make sure to identify yourself with initials or leave your email so I can identify/contact you if you win. ~ I will choose a winner tonight. The winner must email me within 48 hours or another winner will be drawn. I will email the coupon code to the winner- It expires on 3/29/12, so plan on using it right away. ~ Details on the coupon read, "Visit www.shutterfly.com/dealsites and follow instructions to redeem. Offer is good for one-time credit towards a purchase of $20 or more. Limited to new customers only and one per household. Offer ends 3/29/12. See website for other terms and conditions." Shutterfly! I've been considering trying them for Christmas cards. Never too early to start planning, right? Oh that sounds just great! We need to do an adoption book for our twins! "I'd like to enter the Shutterfly Coupon Giveaway. Thank you. Amy G."